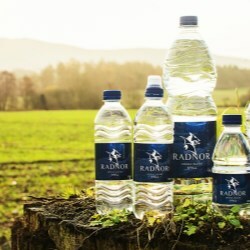 Leading spring water and beverage producer Radnor Hills has moved its shrink wrapping of bottled water to RPC bpi protec’s latest X-EnviroShrink film which contains up to 51% recycled content, with a minimum of 31% PCR as well as being 100% recyclable itself. 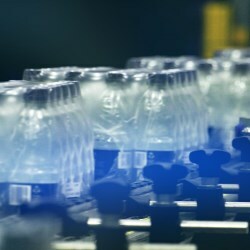 This follows its recent move to bottles with 51% recycled plastic (RPET) and ensures it is fully in line with the latest government proposals for plastic packaging by utilising one of the most sustainable solutions for the collation and multi-packing of goods. 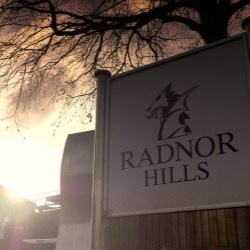 "Ensuring that our activities and products minimise any environmental impact is fundamental to our business,” comments William Watkins, Managing Director at Radnor Hills. Available in both un-printed and printed versions X-EnviroShrink is the ideal collation shrink for a wide variety of products and markets, from beverage cans and bottles to canned food and cartons. Enabling high-speed packing methods to be utilised as a single or twin lane, it helps manufacturers maximise cost-effectiveness and speed- to-market as goods are shipped to supermarket shelves. RPC bpi protec's X-EnviroPouch is a 100% recyclable PE barrier film that delivers both an oxygen and water vapour barrier. Available in white or natural film, X-EnviroPouch’s stand-up properties create greater display flexibility for retailers. RPC bpi protec’s X-EnviroShrink has been named as a finalist in two leading recycling awards, underlining its innovative and sustainable approach to providing customers with the latest flexible packaging solutions. 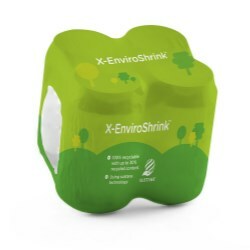 X-EnviroShrink contains a minimum of 30% PCR as well as being 100% recyclable, making it one of the most sustainable solutions for the multi-packing of goods. RPC bpi protec are promoting a circular economy in flexible packaging with 30% post-consumer recyclate content and 100% recyclability in one shrink film, making it fully in line with the latest government proposals for plastic packaging and one of the most sustainable solutions for the collation and multi-packing of goods. RPC bpi protec has announced the recruitment of Darryl Roadnight as General Manager, protec North. Darryl will have responsibility for the Bromborough, Winsford, and Flint RPC bpi protec manufacturing sites. This follows the recruitment in 2017 of Eric Roche as General Manager, protec South and completes the management structure to focus the business on delivering efficient growth across all the RPC bpi protec business sites. On stand C80 at this year’s PPMA Show, RPC bpi protec will showcase some of the latest flexible packaging films, underlining the company’s versatility in offering packaging solutions tailored to run across a wide variety of packaging machinery and formats for different market applications. RPC bpi Protec's Worcester site has established a closed-loop recycling scheme to capture surplus plastic packaging and turn it into second-life products for the benefit of its customers’ sustainability and CSR activities. The X-Dual Seal flexible packaging from RPC bpi protec provides end-users and manufacturers across a range of markets with extended shelf-life, satisfaction-of-use, and easy integration into production lines – benefits all derived from its innovative two-compartment design. RPC bpi protec is supplying wrap around reel fed labels in eight colours for use across a range of milk bottles supplied to major retailers by a leading UK dairy. The contract is the first major customer for RPC bpi protec since its £1.7 million investment in a new flexographic printing press and slitting machine for the volume production of reel fed labels in the beverage sector. RPC bpi protec has developed an innovative stand-up non-laminate bag as a cost-effective and environmentally-sustainable alternative to the traditional Doy sealed pouch. 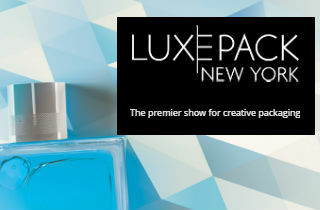 The new X-EnviroPouch will be launching on stand A40 at Packaging Innovations in Birmingham. Made from PE, X-EnviroPouch is fully recyclable and meets growing consumer demand for sustainable plastic packaging. RPC bpi protec have developed this new innovation in line with their sustainability policy. RPC bpi indupac’s commitment to excellent customer service has been recognised with a Supplier of the Year Award from Macfarlane Packaging, a leading supplier of protective packaging that services 20,000+ customers across the UK and Ireland annually. The accolade is awarded to acknowledge not only a company’s service levels, but also its expertise in the production of high quality, added-value products. The food protection and preservation capabilities of X-Hance film from RPC BPI Protec have been acknowledged in a major sustainability awards programme. X-Hance is a 100 per cent opaque but still breathable film which eliminates light rays in order to protect products. WaveGrip, the revolutionary multi-packaging solution for canned beverages from RPC bpi group, is entering the US market through a strategic alliance with leading can filling and seaming systems provider Palmer Canning. Under the agreement, Palmer Canning will produce G1 and G2 variants of the WaveGrip applicator at its facility in Lafayette, Indiana. American influence is behind the successful launch of the UK’s toughest bin liner. Visqueen Ultimate, from bpi recycled products, is the result of an extensive research programme which identified the key qualities of strength, eye-catching packaging and the availability of a variety of sizes to fit most kitchen bins as key factors in the success of bin liners in the US market.